Emergency Response Programs - F.A.S.T. Rescue Inc.
Emergencies and disasters can occur without warning. Planning for these situations ensures that your organization is able to act quickly and effectively to minimize the panic and confusion that can occur. Emergency Response Plans provide core guidance on actions necessary in emergency situations that could cause hazard to life or property. It is vital to plan an effective emergency response before a crisis strikes and significant downtime is incurred. 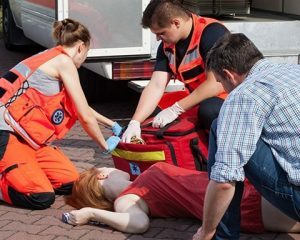 FAST Rescue will work in conjunction with our clients to develop directives for employees to protect themselves and customers in the event of an emergency. Our plans include complete emergency management plans as well as floor warden programs, evacuation procedures, notification protocols and assembly points.